Interesting piece by Puja Mehra. She questions the recent government’s economic policies and says much is just politics. Cemetries have to deal with problems of space optimisation. n May 13, 1864, as the American Civil War raged and casualties mounted, 21-year-old William Henry Christman of the 67th Pennsylvania Infantry became the first soldier to be buried at the Arlington National Cemetery. Over time, more than 420,000 veterans and their relatives have joined Christman in making the military cemetery their final resting place. It’s because of that, The New York Times’ Dave Philipps reports, the cemetery is now nearing capacity. With about 7,000 new burials annually, at this rate, the site will be full within 25 years. So officials are considering revising the rules for eligibility in order to ensure the cemetery remains open for 150 more years. According to the cemetery’s website, an in-ground burial at Arlington is already quite restrictive, in fact, the website states its requirements are “the most stringent of all U.S. national cemeteries.” But veterans with at least one day of active service who were honorably discharged are eligible for inurnment above ground. Fascinating interview of Andrew Revkin who has written this book on history of weather. I mean how little we know of fundamental things such as weather which pretty much shape everything around us. I think that most of us feel like we’re pretty much in control most of the time. But one thing we can’t control is the weather. How much has weather determined the course of human history? On every level, climate change on long time scales has really powerfully shaped human history; it’s in the section in the book on the exodus from Africa. People at Columbia and other universities looked at things like seabed records in the Red Sea or near North Africa and found that there’s sort of a wobbling weather pattern over time. The Sahara Desert, as National Geographic has written about many times, was sometimes grassland and green. There are stone carvings there, people and paintings of people swimming in lakes in the Sahara. Weather shapes our communities and our responses to the environment in different ways. The Dust Bowl was a long and extraordinary drought, with human landscape changes exacerbating the conditions to create the dust. And that had a pretty transformational impact that reverberated for a long time. Talk about the role of weather in the outcome of conflict. Can you explain that? Weather has influenced wars throughout history. For the book, we chose a World War II example: Russia and winter. Winter was always Russia’s biggest ally. Anyone who tried to invade Russia near winter, if they didn’t get the job done quickly, they were going to be in deep trouble. When the Spanish Armada tried to attack England, it was stray changes in the winds that favored England and contributed to the defeat of the Spaniards. There are more examples throughout history. There are some really strange ways that weather has messed with us through the ages; most bizarre to me in the book was the hail story. Apparently, hail can commit mass murder. There is this one mysterious case high in the Himalayas where someone looked into a lake and found a horrific scene of slaughtered people preserved there. The presumption was that it was warfare. But then a crew of scientists from National Geographic took a closer look at the forensic analysis. All the wounds were from the top down, from some large kind of object, and the presumption was that it was hail. There was nothing around to indicate it was a weapon. You think about hurricanes and flooding, but hail causes some of the biggest financial losses every year, very consistently, in the United States. Should try get a copy of the book. Whenever you think there is global political stability, some Italian crisis is always around the corner. Monetary policy – end of history? n 1992, the political scientist Francis Fukuyama announced the end of history. The cold war had just ended, and in Fukuyama’s view, this marked “the endpoint of mankind’s ideological evolution”. Liberal democracy had prevailed; the final form of government had been reached. There was no need for history to continue. Similar claims were made about monetary policy. The great moderation, for instance, was traced back to better monetary policy. With this in mind, some argued that monetary policy had reached a perfect and final stage. There was no need to evolve further; history had come to an end. Or had it? Well, it seems that the unexpected always happens. And when it does, it tends to push the end of history a bit further away. This is true for politics, and it is true for monetary policy. The unexpected happened in 2008: the global financial crisis struck and undid the great moderation. History took a sudden turn and this threw long-held beliefs overboard. Academics as well as policymakers had to adapt their thinking and their doing – monetary policy was no exception. Central banks around the world came up with new tools to keep the financial system and the economy afloat. They became key players; some observers even referred to them as the only game in town. Now, ten years later, there is one thing that weighs on many people’s minds: When will unconventional monetary policy end? When will it return to normal? It seems that many look no further than the exit from our unconventional measures. But what will happen once we have reached the exit? Will we return to the end of history? Well, I don’t think so. First, there are still many questions that need to be answered. And second, the unexpected will happen again at some point. History does not end. But before we discuss what will happen tomorrow, let’s take a look at today. Gaurav Bhawnani and Shubham Jain students at National Law School Bangalore in this paper look at caste representation in Indian cricket. In India’s 85-year-long Test history, only four of the 289 male Test cricketers have reportedly been Dalits. While concrete steps have been taken to address a similar under-representation of non-white players in South Africa, Dalit under-representation in Indian cricket has received scant attention. There is a need to understand this as a function of systemic barriers arising from corporate patronage post-independence and the urban stranglehold of the game, instead of attributing it to choice, inherent inability or upper caste “tastes.” The grass-roots development approach of Cricket South Africa can serve as an example to address this anomaly. Before we conclude, we would like to note our own hesitation in authoring this piece. As cricket fans, we worried that a quota would lead to a deterioration in the quality of the Indian team. However, our own hesitation made us realise how ingrained the idea of merit has become today. Without going into the value of the idea of merit—and there are several arguments against it—objective merit has often been extremely flimsy in the context of cricket. There have been as many as 41 players (Lynch 2017), Hardik Pandya being the most recent example, who scored their maiden first class century in a Test match. While first class statistics often form the primary basis of selection, these players show that quite often quality cannot be measured “objectively” by numbers. Players such as Marcus Trescothick were selected despite very ordinary domestic performances and went on to lead great Test careers. Such players are picked for their “grit,” “potential,” “spark:” any number of qualities which ensure that selections are not carried out solely on the basis of statistics. If our argument results in the selection of a Dalit batsman with a slightly lower batting average, he might, in fact, go on to become the next Trescothick. Even if he does not, and merely scores a single century, that century may inspire millions, as Temba Bavuma’s first, and only, century by a black South African did. The paper is quite a read and covers many aspects of Indian cricket which are barely known and have been forgotten. I’m sort of amazed that in the decade-plus that I’ve been writing this column, I’ve never asked the question directly of my wise and worldly readers. It’s worth asking. It matters because of distribution requirements. Different types of degrees — AA as opposed to AS as opposed to AAS — require different distributions of credits in the various categories. The “distribution requirement” model of general education is out of favor among reformers, but it’s still very much alive on the ground, as students who don’t check the boxes before trying to transfer can attest. In New Jersey, the state has answered the either/or question with a firm “yes.” In the context of AA degrees, it can count for either, and it even gets its own category. But in AS and AAS degrees, it doesn’t. And that begs the question of whether the state got it right, which is, to me, the much more interesting question. At Holyoke, it counted as a humanities course, but it was housed in social sciences. At CCM and Brookdale, it’s housed in social sciences, but it can count for either. It’s the “and sometimes “Y’” of academic disciplines. I’ll admit that if I had to make the call, I’d put it in social sciences. Part of that is because of its role as the parent of political science, which clearly belongs there, but mostly it’s because I tend to think of the division between the two camps as “social-fact-bound” versus “social-fact-optional.” Fiction, of course, is fact-optional by definition. Music, art, and the performing arts are clearly fact-optional. History is not. (Political science is not, but politics clearly is.) Here I use “social fact’ as distinct from “natural fact,” which I consider a calling card of STEM. Superb piece by Prof. Louisa Lim University of Melbourne. The usual research on infrastructure projects keep the crucial human displacement factor out of their analysis. Most are not even aware of any such issue. CSK win proves instincts still alive in the age of analysis.. The win of Chennai Super Kings in IPL 2018 is the talking point of the season. The squad with most players in their 30s was consistent throughout the tournament with several match winners. It is not just the win but the manner in which they won which also surprised one and all. Chennai Super Kings’ latest triumph was reinforcement that T20 is still a sport played out in the middle, by humans who react differently to pressure. That when all is said and done, a human being has to rock up and bowl a final over to him or Dwayne Bravo. That at these times it is not enough to know that the wide yorker is the ball to bowl to Dhoni; you have to actually execute it. That when you respect and play out one or two bowlers, you are at the same time letting the others – inexperienced Indian bowlers in the case of the IPL – know that you are coming after them, which brings pressure on them. In a chase of over 200 against Kolkata Knight Riders, Dhoni ends up with 25 off 28, slowest innings of 15 balls or more. Super Kings win. In a chase of 198 against Kings XI Punjab, he is 23 off 22. Super Kings come within a blow of winning with Dhoni unbeaten on 79 off 44. In the high-pressure qualifier against Sunrisers Hyderabad, he takes nine balls to get off the mark, scores 9 off 18, and tells his partner Faf du Plessis, who is himself going at a strike rate of 50, to just play out Rashid Khan. Du Plessis wins them the match with time to spare. In the final, against the same opponents, Shane Watson takes 11 balls to score his first run before scoring a match-winning century. These are the times when cameras pan to the dugout for anxious faces. Not with Super Kings because they don’t have anxious faces; they have taken after their captain. More than analysis, what is important for Dhoni is to realise in that moment what the opposition is trying to achieve and look to deny them. If Bhuvneshwar Kumar is bowling an extra over at the top, Dhoni wants his side to show knowledge that the opposition is desperate for a wicket. If you feel the scoreboard pressure and try a silly shot in this extra over of Bhuvneshwar, that annoys Dhoni more than any slow strike rate. Ride the storm, minimise the damage when things are not going for you, take the game deep, make the opposition close it out. And when your time comes – and it does come – take full toll. What happened to the study of economics in Australia? Some central bankers are not just worried about state of their economies but even state of economics education in their countries. Jacqui Dwyer in this speech looks at state of economics education in Australia. It’s a pleasure to be with you today to talk about your experiences teaching economics. Education in Australia is receiving a lot of attention at present. Against the background of Australia’s core learning skills at school, there is much debate among educators about what we should teach, how we should teach it and how we should assess it. In terms of ‘what’ should be taught, the current debate provides a good opportunity to raise awareness of economics as a valuable field of study. Economics is relevant to us all. Every day our lives are affected by economic decisions – ones we make personally and ones that are made by others. Economics is about how individuals and societies choose to allocate their limited resources to meet their needs and wants. It’s about how we respond to incentives, make trade-offs, weigh up costs and benefits – and how we decide what is efficient and what is fair. Economics contains some powerful concepts and useful frameworks. It can help us better understand the choices involved in many personal decisions we make, and better understand the economic conditions and policies that affect our lives. Given the relevance of economics, and the social benefits of economic literacy, how widely is it studied? Be it at high school or university, economics was once widely offered and widely chosen – but that is no longer true. This is weighing on both the size and diversity of the student population, with implications for economic literacy and the longer-term health of the economics discipline in Australia. Via several graphs she shows that Increasingly students are preferring business studies over economics. So what has been driving the fall in size and diversity of Australia’s economics student population? A number of forces are at work. To help inform the Bank’s public education program, we have done a lot of data analysis and liaison with educators, education authorities and students. There are some dominant themes. Economics has become less prominent. In the 1980s and early 1990s, economics was the subject of national debate. There was the lived experience of recession and big economic events like the floating of the dollar and the deregulation of labour and financial markets. So prevalent was the discussion of economics that former Prime Minister Paul Keating once said ‘I guarantee if you walk into any pet shop in Australia, the resident galah will be talking about microeconomic policy’. 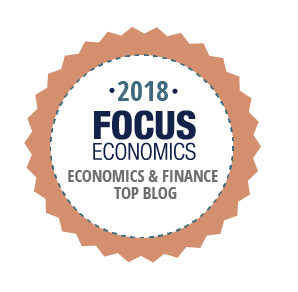 With Australia having experienced over a quarter of a century of continuous economic expansion, there is now a less involving – and less mature – national conversation about economics. A relatively benign economic environment appears to have reduced the curiosity of students in seeking to learn about economics. However, the single largest factor weighing on the study of economics appears to have been the emergence of business studies as a subject choice in schools, and the growing dominance of business schools at universities. When compared with rival subjects, economics has an image problem. Too few students understand what economics is and how it is relevant to them. Consequently, in a cluttered curriculum – at both high school and university – they are less likely to choose it. And if economics is no longer a core subject in many courses, the incentives to choose it fall further. A key consideration in making a subject choice is its employability, especially given the effort and expense involved in investing in education. 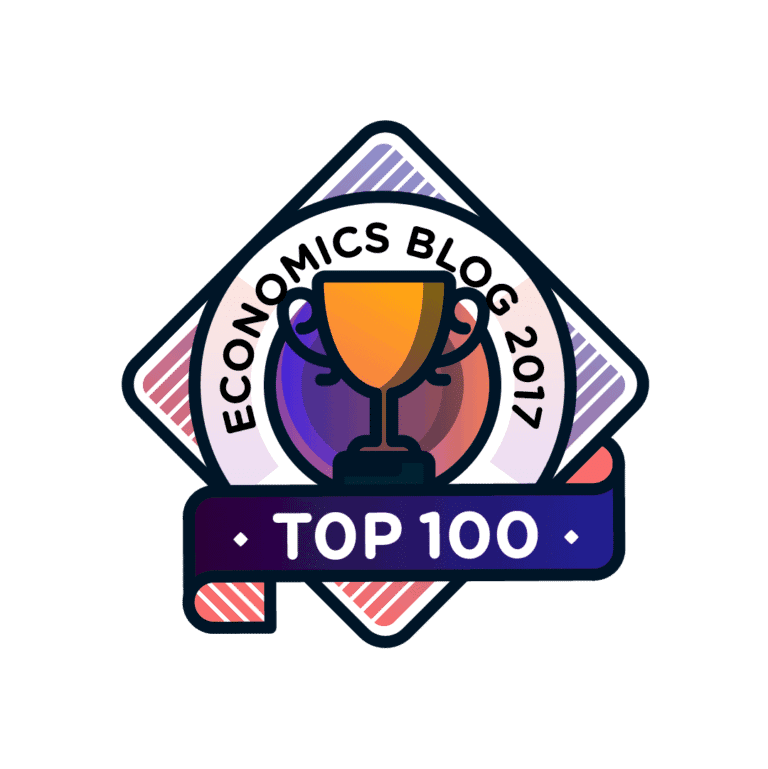 Many students – and importantly their parents – consider economics to be less employable than business-oriented subjects. They value subjects and degrees with a clear pathway to a specific occupation (e.g. by studying accounting you can become an accountant). However, the data tell us that graduate starting salaries are higher for economic students than students who take business-oriented subjects and that full-time employment rates are broadly similar. In fact, the sorts of skills acquired in the study of economics – such as analytical and problem solving skills – are likely to be highly valued as the nature of work changes (as explained by the Bank’s Head of Economic Analysis, Alex Heath, in her speech on Skills for the Modern Workforce). It is perhaps because economics graduates are less likely to be employed in their subject field that the misperception about employability arises. Role models are also important, and the lack of visibility of what an economist does results in a shortage of role models. 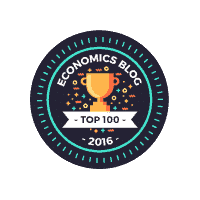 Furthermore, to the extent that economists are visible, too often they are a homogenous bunch. This can have the effect of discouraging students, particularly females and those from minority backgrounds. Hoshi Ryokan (Ryokan means Inn in Japnaese) was established in 718 and has been run by 46 consecutive generations! Here is a video of the longest running family business. Quite something..
Central Bank of Bahamas organised a design competition for its new building..
We barely notice how finance firms/banks use architecture to showcase their prestige or their strength. Earlier most banks had this imposing design which was more like a fort trying to tell people that no one can break into the fort and steal your money. Overtime, as confidence in banks increased, bank buildings have followed a more open sort of architecture with lots of glass etc being used. From the times when it was imposing to get into a bank, to today’s times when banks are welcoming people is quite something. However, in case of central banks these things are unlikely to change. As the guardian of monetary stability, they have to show their imposing self voa their buildings as well. Neoclassical economists believe that capital supply and demand jointly determine the interest rate in equilibrium, that subjective considerations of time preference determine supply, but that entrepreneurs determine demand based on the marginal productivity of capital (that is, based on predominantly objective considerations). This approach parallels the one that Marshall developed to explain price determination in the market, and that Böhm-Bawerk and the Austrian school reject and emphasize that when entrepreneurs demand funds, they act as mere intermediaries for workers and owners of factors of production, who are the final demanders of present goods in the form of wages and rents, and in exchange they transfer to entrepreneurs the ownership of future goods of greater value (which will only become available when the process of production concludes). Consequently, from the perspective of Austrian economists, both sides – the supply of capital goods and the demand for them – depend on subjective considerations of time preference. This line of argument, in the area of interest rate determination, echoes the one that Böhm-Bawerk employed with Marshall when he criticized Marshall for his desire to preserve, at least on one side of the process of price determination, the old objectivist, Ricardian conception characteristic of the classical school of economics. There is lots more in the piece…. This is a great time to learn how earlier inventions and technologies led to economic growth. We take certain things for granted today and don;t think them as technologies. But things like clocks were a technology of earlier years and must have led to some changes in the economies and daily life. It might seem obvious that new high-tech inventions can be an economic boon — and in this case, the authors do find that early adopters of the clock saw high population growth, a proxy for premodern economic growth, of about 30 percentage points between 1500 and 1700 — but not everyone agrees. “A well-established literature,” Boerner and Severgnini point out, “has claimed that the impact is negative because advanced machines lower wages, which in turn reduce population and income growth.” In the late 1980s, moreover, the economist Robert Solow found that the adoption of computers coincided with a productivity slowdown in the 1970s. And even today, fretting about our future among the robots is commonplace. But in the case of the clocks, the story is relatively happy—and relatively straightforward. First, Boerner and Severgnini set out to answer why some cities became early adopters in the 13th century. They find that those locations that experienced solar eclipses in Medieval times were the most likely to take up the technology. Eclipses and other astrological phenomena had been associated with Biblical events, and so the desire to study and understand the heavens was high, particularly in the monasteries. The authors posit that mechanical clocks could have developed in response to that curiosity and, perhaps, also out of a familiarity with other technologies, such as astrolabes and water clocks, that were used in astronomy. As for the cities that experienced eclipses and built early public mechanical clocks, most had standout population growth in the centuries that followed. “There exists broad evidence from the 15th century onwards that the public clocks were used to coordinate such activities in many cities. The organization of markets neatly documents this change. Whereas prior to public clocks, the market time typically started with sunset and ended at noon, with the introduction of clocks, market times were determined by the stroke of the hour. Furthermore, market time was shortened and market access was granted to different groups of people at different times. For instance, market regulations offered time-differentiated access to consumers, retailers, and wholesalers.” Clocks also led to the implementation of pay-per-hour in many cities and allowed universities to better set start and end times for lectures. Simply put, the authors write, the clock was “an information technology that improves coordination and reduces transaction time.” No wonder that it led to growth. Which brings to mind some of our present-day dilemmas. Will advances in automation cause massive social dislocation, as some scholars warn? Or will the rise of artificial intelligence give new life to the Great Enrichment? That will depend almost entirely on how we choose to respond. Did US ever default? It did in 1930s..
One of the most pervasive myths about the United States is that the federal government has never defaulted on its debts. Every time the debt ceiling is debated in Congress, politicians and journalists dust off a common trope: the US doesn’t stiff its creditors. There’s just one problem: it’s not true. There was a time, decades ago, when the US behaved more like a “banana republic” than an advanced economy, restructuring debts unilaterally and retroactively. And, while few people remember this critical period in economic history, it holds valuable lessons for leaders today. In April 1933, in an effort to help the US escape the Great Depression, President Franklin Roosevelt announced plans to take the US off the gold standard and devalue the dollar. But this would not be as easy as FDR calculated. Most debt contracts at the time included a “gold clause,” which stated that the debtor must pay in “gold coin” or “gold equivalent.” These clauses were introduced during the Civil War as a way to protect investors against a possible inflationary surge. For FDR, however, the gold clause was an obstacle to devaluation. If the currency were devalued without addressing the contractual issue, the dollar value of debts would automatically increase to offset the weaker exchange rate, resulting in massive bankruptcies and huge increases in public debt. Interestingly, people filed lawsuits but the Court ruled in Government’s favour. Why some nations stay together and some fall apart? Many interesting comparative histories in the piece. A macroeconomics workshop for MPhil/PhD students in Indian universities…. Azim Premji University is organising a macroeconomics workshop on Aug 23-24 2018. There is substantial published research by scholars working in universities, central banks, and research institutes on macroeconomics. Most of this research completely ignores the advanced research inspired by heterodox economists. More importantly, there is inadequate critical evaluation of the dominant macroeconomic thinking – both in theory and policy. The formulation of good macroeconomic policies for India requires a mix of good macroeconomic theory, empirics, and understanding of Indian socioeconomic institutions. In order to better understand the core logic of the dominant macroeconomic thinking, this workshop features presentations on the role of competition and potential output in their framework, and alternatives are presented. In addition, presentations will be made on demand-led growth theory. 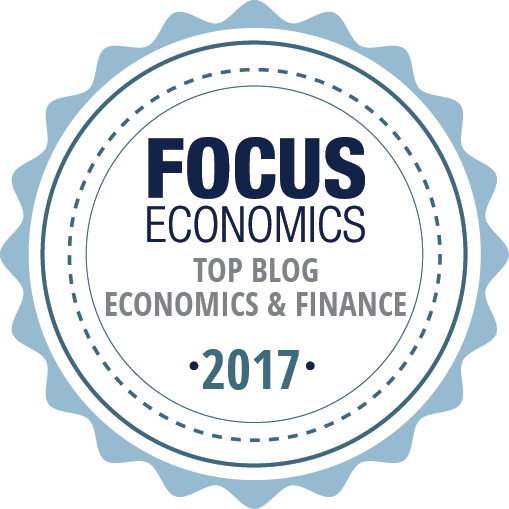 Through a mix of senior and junior academics, policy makers, and economics students, this work strives to communicate the importance of good macroeconomic thinking to a wide audience. The last date for application is 20 June 2018. If possible, please pread the word to MPhil/PhD students in Indian Universities. A Rapidly Appreciating Price At First, Slowing Over Time: The price of a new store of value would likely start out very low, as few would believe in it. As it became established, prices would rise exponentially. Over time, this price appreciation would slow as it reached a steady state. High-But-Declining Volatility: Similarly, early volatility would be extreme, as its long-term sustainability would be in question. But over time, that volatility would tail off as the asset became more established. That’s exactly what we saw in gold, and Bitcoin is following the same path. 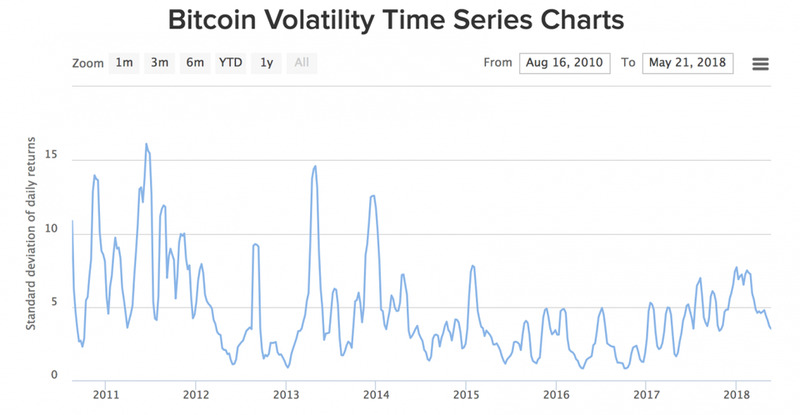 Bitcoin’s price rose exponentially in its earliest days, and that growth is slowing over time. Volatility—while still high—has declined markedly, and will likely fall further as derivatives and market-making activity increase. Look out 10 years: As the digital world becomes an ever-larger part of our lives, and the millennial generation moves into its prime age range for saving, it’s not hard to imagine a world where Bitcoin holds 1/10th the value of gold. That would imply a 500% price increase, from current levels of around $8,000 to about $40,000. Could Bitcoin’s value be equal to gold? That would suggest a shade under $400,000. Could it be higher, because Bitcoin has more potential utility? The biggest criticism of the new system is that from investors’ perspective, it does not really simplify the process of choosing a fund to invest in. There are 2,043 mutual funds in India, and counting all the plans, options and variants, there are possible 9,680 choices. This huge number starts to become manageable if there is some kind of a systematic classification that is applied to these funds. The system that SEBI has now put in place has 36 categories. Are 36 categories easier to begin with than 9,680 schemes? Certainly, they are. However, if you start with close to zero knowledge, which most fund investors do, then even 36 is too much. Let’s see how an investor can use the new SEBI system to achieve genuine simplification. Here’s a recipe to slice through the thicket of funds and get to you investing goals: ignore almost all the categories. Practically speaking, if you are an individual investor whose financial goals are the normal ones that most people have, then you can easily ignore 32 of these 36. Here’s what remains; Multi-Cap for long-term savings, Aggressive Hybrid funds for medium term savings, ELSS funds for tax-savings combined with long-term savings, and short-term debt funds as a superior alternative for bank fixed deposits. That’s it. It will be difficult to do this because SEBI’s set of 36 has many categories that have little purpose except to give the sales people complicated stories to tell. While there certainly are funds in many other categories that may have some justification, but if you want a simple to implement plan that also covers all bases and serves all normal investment goals, then you will get along fine. I know that sounds a little extreme, but it will make things extremely simple and still serve all your needs.